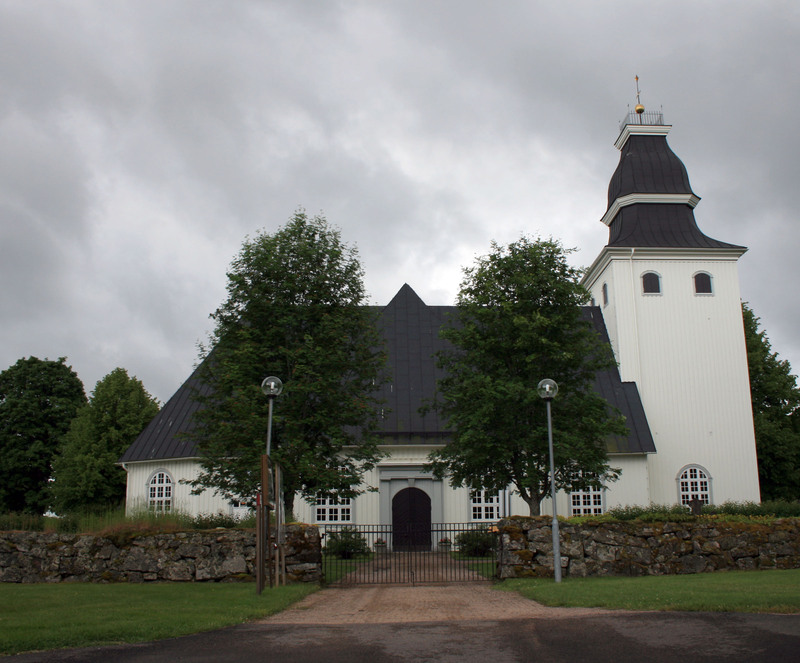 The original church from the 1600’s was built at the initiative of mill owner Johan Börjesson Carlberg. It burned down in 1983. This new church was built to mimic the outer appearance of the old church though it is slightly bigger. It was consecrated in 1986. It was designed by Jerk Alton and has paintings by Sven-Bertil Svensson. The organ was built in 1988 by Grönlund.